Fisherrow Sands, Musselburgh, EH21 6LD. Just out of Edinburgh you’ve got Levenhall in Musselburgh. Great pond, loads of space, nice walk along the sea wall. 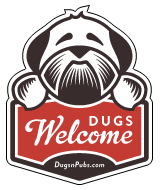 There are a total of 7 dog friendly listings in the Musselburgh category. Please log in, or sign up as a member to view all listings.